"For one to fly one only needs to.... Take the Reins"
A nonprofit recreational therapeutic riding program, founded in 2011 and incorporated in 2012, Take the Reins serves children 4-18 years of age with documented disabilities. Take the Reins is a member of the Professional Association of Therapeutic Horsemanship International (PATH Intl), the national organization that sets the standards for quality and safety. Mission Statement: To bring joy and sense of accomplishment to people with special life challenges through therapeutic equine riding with the guidance of Christ. We bring that mission to life by providing a year-round program on our 12-acre farm near Franklin, TN. 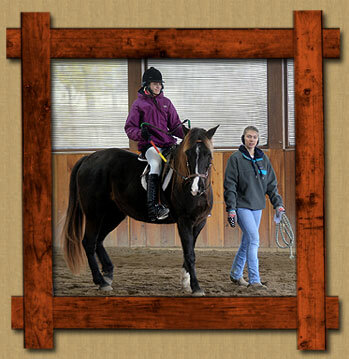 For many of our riders, Take the Reins is one of the few recreational programs available to them. To ensure the safety of its participants and a quality learning opportunity, Take the Reins requires all of its instructors to be certified by the Professional Association of Therapeutic Horsemanship International (PATH Intl). In addition, we provide special training for our dedicated group of volunteers, who come from all walks of life, age brackets and locations in the area to serve in the program. Everyone involved with Take the Reins is exceptional. Our children, parents and volunteers are the strength and foundation for our accomplishments every day. This year we will serve nearly 25 children and youth. They reside Williamson, Rutherford, Davidson and other surronding counties. Take the Reins can deal with more than 50 types of disabilities as defined by federal law including: Cerebral Palsy, Down Syndrome, Pervasive Developmental Delay, Autism, non-verbal disorders, visual and hearing loss, developmental and learning disabilities, and many others. For any child, mounting a horse can be a frightening prospect. But before long, all of the children are wearing heartwarming grins that lift the heart. The opportunity for them to leave behind the world of special classes, tutors, doctors, hospitals and medicine is often more therapy than the best educational or medical minds can deliver. Our Parents are the strengh of Take the Reins. Brothers, sisters, parents, friends and extended family members gather to watch their rider demonstrate their riding skills. All accomplishments are greeted with fanfare and hugs! Take the Reins couldn’t function without the dedication of our nearly 40 Take the Reins dedicated volunteers. We know they are priceless! Their skills, expertise and passion make a difference in all that we do from governance by the visionary Board of Directors, to our dedicated volunteers who serve in lessons on a weekly basis, and to those who help with the care of our horse heroes and facilities. We’re grateful to the individuals and groups that choose to serve at Take the Reins. More Than Just a Pony Ride, Horses, and Hugs, this experience has multiple opportunities for students to increase physical skills, social skills and communication skills. Students develop muscle strength, balance and coordination during riding. They have the opportunity to develop increased communication skills and increased positive social interaction with their riding team. The thrill of riding a horse is an accomplishment that is immeasurable to students that have difficulty with mobility, self-control and/or communication. We have watched students begin the program that could not sit upright on the horse progress to independent riding. Parents report students have increased muscle tone. Instructors report students progressing from nonverbal status to voluntary greetings and conversations with horses and riding team members. 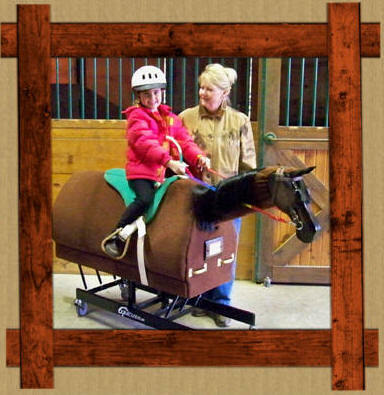 For our children, Take the Reins provides more than just a good time. Research shows that students who participate in therapeutic riding can experience physical, emotional and mental rewards. For individuals with impaired mobility, horseback riding gently and rhythmically moves their bodies in a manner similar to a human walking gait. The rider must continuously contract and relax muscles to re-balance, improving balance, strength and flexibility. If you have a child within the ages of 4 to 18 years old and think they would be a good fit for the Take the Reins program, contact Jerry Clement at takethereinsridingcenter@gmail.com or 615-566-7534 to begin the application process. 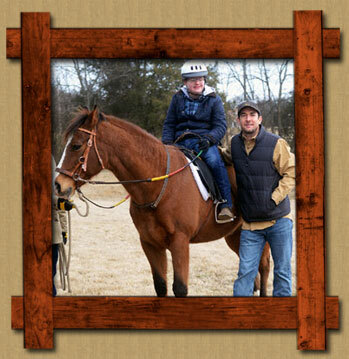 Therapeutic riding that connects horses and children through the love of Christ. Take The Reins. All Rights Reserved. Site proudly designed and hosted by Big Sky Internet Design.